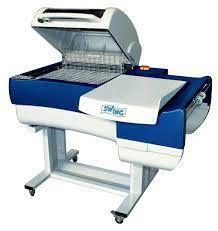 Very efficient machine, all around close design ensures less heat loss thus less electricity consumption. Heavy-duty body, machine have insulated surface to avoid any damage to product or shrink sleeve. High speed blower system. High quality heating element. Other sizes are available as per requirements. We are one of the prominent merchant exporter based in India & known for supply of high quality products all over the world. Our major trading products are agro commodities, pharma equipments and packing materials. Our objective is to satisfy each and every customer with our eclectic gamut of products at competitive price with our prompt services. We provide cost effective materials in competitive market, more over we are also focussing our efforts to gain total customer satisfaction.